G1 loves reading – he is rarely without a book in hand and a couple more in his backpack – but sometimes we struggle to find new books for him to read. When he was younger, I had lofty ideas of allowing him to only read “quality” books – literary classics and living books recommended by Charlotte Mason. Unfortunately, G1 had his own ideas about what he wanted to read and I figured it was better that he enjoyed reading than not at all. These are books he’s read at least twice. Some of them have been re-read so many times that our copies may be defined as “well-loved”. How to Train Your Dragon Book 1 to 12 – we had every book on pre-order while we waited for Cressida Cowell to publish them. 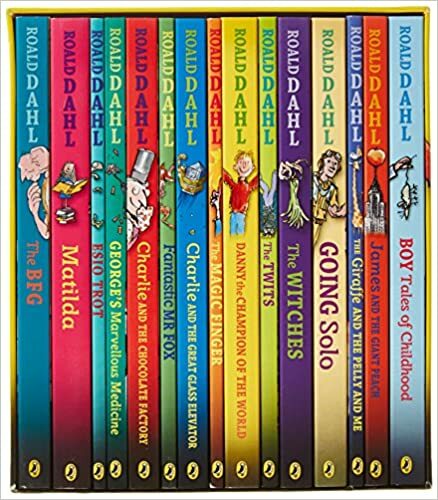 He enjoyed most of Roald Dahl’s books except The Witches because it was scary. He was probably a bit young when he read that and I regret letting him read it. I remember reading it in Year 5 and I felt a bit disturbed by the idea of witches hiding in plain sight preying upon unsuspecting children. 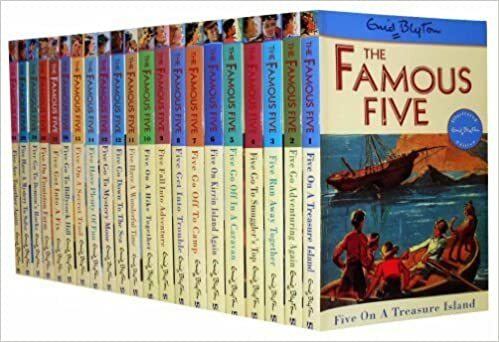 G1 was also quite fond of Enid Blyton’s books, in particular the Mystery Series, Famous Five, Secret Seven, the Adventure Series, Wishing Chair Series and Brer Rabbit – these were read over many times. G1 really enjoyed the stories about Percy Jack and went on to read other books by Rick Riordan but judging from the condition of these books, I get the impression he did not enjoy these stories quite as much. Magnus Chase – he’s only read book one (still waiting for the rest to be published) so it probably isn’t fair to comment about this series just yet. Kane Chronicles – according to G1, these were enjoyable but not as good as the Percy Jackson series. Magnus Chase: The Sword of Summer rated highly for educational value, positive messages, and positive role models, but it also includes mild consumerism, drinking, and language. Percy Jackson series – ratings vary from book to book but there is usually something positive to be derived from each book. Kane Chronicles – all three books are rated similarly to Magnus Chase. 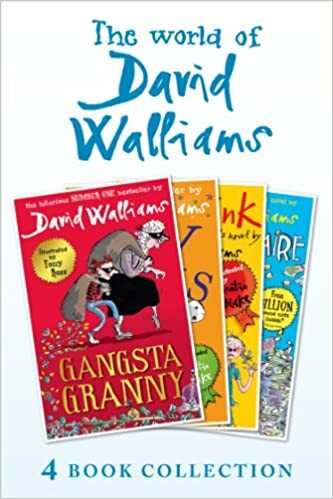 He was introduced to David Walliams by a friend from school who gave him two books for his birthday. I had no idea that David Walliams was the guy who did Little Britain until I looked up his books. He’s been described as “the fastest growing children’s author in the UK” and his literary style has been compared to that of Roald Dahl (Wikipedia). The series is aimed at children ages 9 and up and has sold over 1 million books in the UK alone. The series has also been translated into 36 languages. There is also a Tom Gates website on Scholastic. 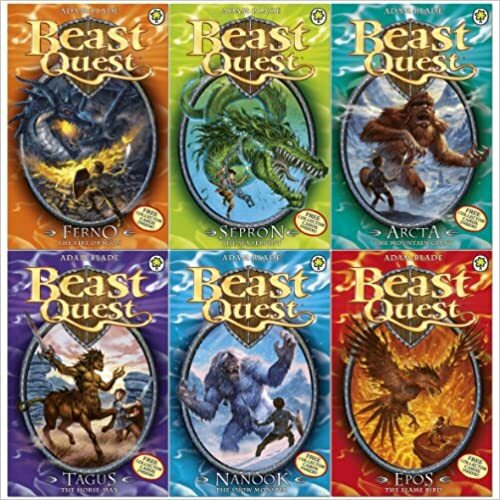 We wrote about Beast Quest previously so we won’t cover it again. Suffice to say it is the first chapter book that G2 has read cover to cover. No wait, I lie – I think that would have to be Horrid Henry (I’m not sure if Geronimo Stilton counts with all the pictures in it). We also wrote about the Warriors Series by Erin Hunter previously. This was introduced by G1’s librarian and is another series he devoured once he really got into it. Commonsense Media rating: this series received 3 stars for positive messages and positive role models. I can’t say I really like the idea of a book about a horrible boy but my boys can’t seem to get enough of this series. There is something about Francesca Simon’s humour that really catches them. It seems many other readers concur because Horrid Henry has sold millions of copies worldwide and has been translated into 27 languages. This is another series that I wasn’t particularly keen on but it draws the boys like a magnet. From the sounds of it, it’s quite a popular series at school, too. Commonsense media rates the books around about 3 to 4 stars. Book value varies from title to title – for instance, Cabin Fever and Ugly Truth had three stars for positive messages, whereas the original Wimpy Kid and Dog Days scored zero stars for positive messages. A name that floats around quite a bit, Neil Gaiman writes all sorts of stuff – graphic novels, books for adults and for children. He’s won awards for quite a number of his works. I regret that I haven’t read more of his books. I really enjoyed Stardust so when I saw “Fortunately, the Milk“, I decided to get it for G1. He said it was “ok” but it was obviously good enough to be read twice. Commonsense Media rating: “Fortunately, the Milk” is another good book for kids as it rates highly on all three – educational value, positive messages, and positive role models (4 to 5 stars). I read the Inkheart trilogy and I loved it so I tried to introduce it to G1 thinking he might find it as interesting. He read the first book but never felt compelled to read the other two books in the series so I guess he didn’t enjoy it quite as much as I did. Commonsense Media rating: Inkheart rates pretty highly for educational value, positive messages and positive role models (4 stars). Inkspell and Inkdeath are not as highly rated (3 and 2 stars, respectively) but they do offer some value. G1 read this quite a number of years back. He wasn’t very keen on it at first but once he got started, he powered through the entire series back to back. He obviously enjoyed it enough to read the entire series but I would rate it below his other favourites because he’s never gone back to it and he hasn’t been interested to pick up anything else written by Lemony Snicket. Commonsense Media rating: Not all the books have been rated, but of those that were, only Book 1 rated well with 4 stars for educational value, positive messages, and positive role models. G1 discovered Michael Morpugo at a book sale when he asked his aunt if he could get “Escape from Shangri-La”. When he finished the book in one day, I thought we had another winner. We bought him more titles from Michael Morpugo but they didn’t pique his interest the way Escape from Shangri-La did. The first book was written by Sean when he was just 16 years old. 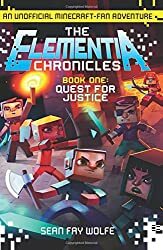 The story was inspired by his own love for the Minecraft game and some of his favourite books – “Harry Potter“, “Hunger Games” – and his favourite animated series – “Avatar the Last Airbender” and “The Legend of Korra“. I shared this with G1 with the hope that he might be inspired to write his own story. Quest for Justice earned 4.5 stars (out of 5) on Goodreads. Based on what I could gather from the negative comments, the general criticisms were mainly related to the style of writing – there were too many interrobangs and dialogue in all caps. Some parents were critical of the writing quality but most of the children loved it and described it as “exciting”, “best book”, “great”, and “awesome”. If you have a reluctant reader who loves Minecraft, this might be your avenue into reading. This was another series of books that I started out disliking and now we have almost the entire collection. Although G2 is an early reader who reads well for his age, compared to G1, he’s my reluctant reader. Therefore, any book that gets him reading is worthy of a place on our bookshelves. Even though I bought these books for G2, G1 has read them all as well. I introduced an abridged version to G1 when he was 5. Although he read the entire book, he gave it back to me at the end and told me to take it back to the shop. He told me he didn’t like it because it was scary. Earlier this year, he received the entire series for his birthday and I encouraged him to read it now that he’s older. He was reading it as a bedtime story but I could tell he didn’t really enjoy it as much as his other favourite books. Unlike Percy Jackson, Harry Potter, and How to Train Your Dragon – which he couldn’t put down – he wasn’t compelled to finish reading the Chronicles of Narnia. 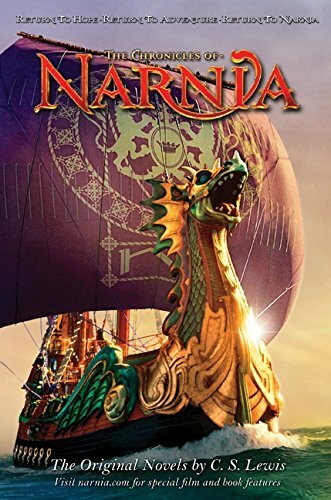 Commonsense Media rating: only the first three books were rated and, surprisingly, only Book 3: Voyage of the Dawn Treader rated well for positive messages and positive role models (5 stars). I discovered this series on Commonsense Media and was very keen for G1 to read it because most of the books in this series rated quite highly for “positive messages” and “positive role models” – particularly for teamwork, creative problem solving, and friendship. If I had to give it a interest rating, I would say 3 stars out of 5 – interesting enough for G1 to read it but not compelling enough for him to search for the other books in the series on his own. I found this series at the Big Bad Wolf sale and bought one of the books on a whim. I thought it might interest G1 since Nicholas Flamel was mentioned in book 1 of Harry Potter. It took a bit of nudging to get G1 started on it but after he read the first book, he looked up on the rest of the books in the series on his own. He also said it was right up with Harry Potter as one of his favourite series. Commonsense Media ratings: ratings vary from book to book with at least 3 stars for positive messages, educational value, and positive role models. This series was recommended to us by a fellow parent of another avid reader. G1 hasn’t made much head way into the series since he has been busy reading about Nicholas Flamel but I think he was intrigued when the first chapter of the first book ended with the death of Septimus Heap – how can a series of books be about a person who dies in the first chapter? Commonsense Media ratings: the series received 4 stars for positive role models and 3 stars for positive messages.